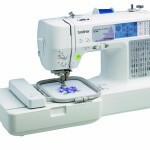 The SINGER 9960 Quantum Stylist 600-Stitch Computerized Sewing Machine has a number of user-friendly features that makes it very easy for people of any experience level to use. 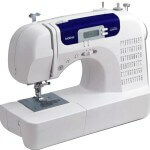 There is an automatic needle threader, a top drop-in bobbin system and 13 different styles of fully automatic, one step buttonholes to name a few. 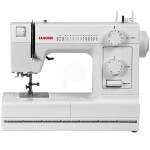 The SINGER 9960 also features a Digital Information Advisor that provides information about your stitch pattern, length, and with and the recommended presser foot on an easy-to-read LCD screen. The SINGER 9960 also has 600 built-in stitch patterns so even the most creative people will never get bored with this machine. This is also a free arm machine that gives easier access to cuffs, collars, hems, and other hard-to-reach areas. There is also an extension table that gives you an extra large sewing area when you are working on larger projects. 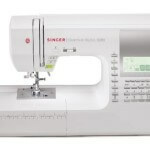 When researching the SINGER 9960 Quantum Stylist 600-Stitch Computerized Sewing Machine we found 60 user reviews online and the reviews were outstanding. This machine received an average user rating of 4.7 out of a possible 5 stars. There were positive reviews from people of all experience levels from expert to novice and everyone is very happy with this machine. One customer said that “this machine does everything I needed and more”. They said that they have not used a machine with a drop down bobbin design before but they found it very easy to master and they liked being able to see how much thread was remaining. 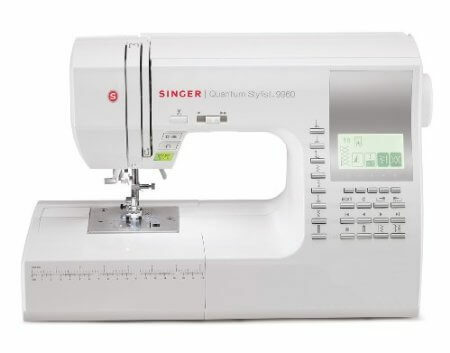 This customer says that just about everything you can do with a sewing machine is easy to do with the SINGER Quantum Stylist. Threading, lining the bobbin, selecting different stitches, making buttonholes, everything is easy to do. Another customer said that with Singer you always get more bang for your buck. This person said that if you compare the functions of the SINGER 9960 Quantum Stylist to other, more expensive machines you would see that this machine is the clear choice. This person said that the machine is quiet and easy to operate and has tons of great features. Many customers are commenting on the drop in bobbin, the automatic needle threader, the thread cutter and a lot of the other features and saying that they are very happy with all of them. There were very few negative comments online about this machine but one customer did say that the back stitch button is near some of the other buttons so you have to take your eyes off of the item you are sewing to make sure you’re pushing the right button. However, the person that made that comment said that it is a very minor inconvenience when you consider all of the other positive attributes this machine has. 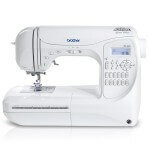 The SINGER 9960 Quantum Stylist 600-Stitch Computerized Sewing Machine received fantastic user reviews online and many of the people that took the time to leave reviews said that they wouldn’t hesitate to recommend this machine to friends and family members. With all of the wonderful comments and happy customers we would certainly give the SINGER 9960 Quantum Stylist 600-Stitch Computerized Sewing Machine our recommendation.